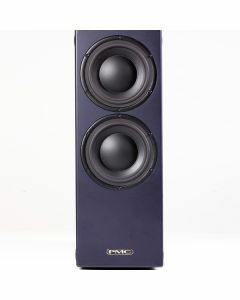 The twotwo sub1 is an ultra-low distortion, active subwoofer which can be used in a 2.1 configuration with twotwo series monitors to gain extra bass extension and headroom. Alternatively, it can be used to reproduce a low frequency effects (LFE) channel in a surround monitoring system. The electronics include an audiophile Class-D power amplifier with DSP-based filtering and bass management functions. Balanced stereo analogue and AES3 digital inputs are accepted, and are combined to feed the subwoofer system, as well as being passed through to the analogue and digital outputs for connection with other devices.